A Three Judge Bench of the Supreme Court of India in W.P. (Civil) No. 536 of 2011 titled Public Interest Foundation. v. Union of India referred the question ‘whether a legislator facing criminal trial should be disqualified at the very stage of framing of charges against him by the trial court? ‘to the consideration of Constitution Bench. (2) Whether filing of false affidavits under Section 125A of the Representation of People Act, 1951 should be a ground of disqualification? and, if yes, what mode and mechanism needs to be provided for adjudication on the veracity of the affidavit? iv. For charges framed against sitting MPs/ MLAs, the trials must be expedited so that they are conducted on a day-to-day basis and concluded within a 1- year period. 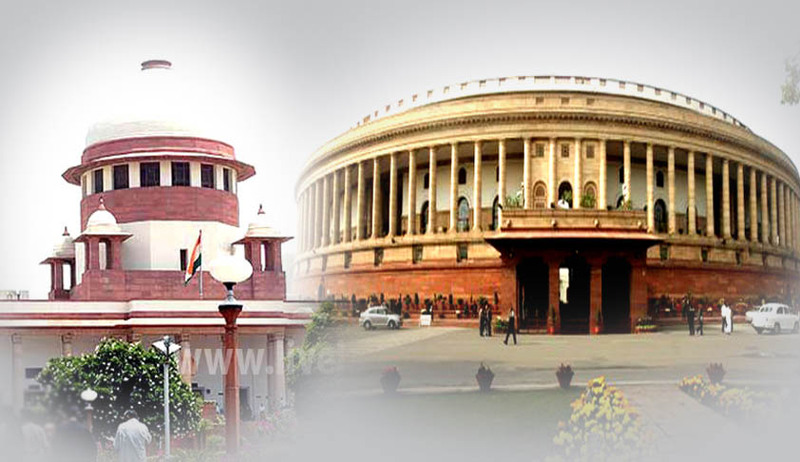 If trial not concluded within a one year period then one of the following consequences ought to ensue: – The MP/ MLA may be disqualified at the expiry of the one-year period; OR – The MP/ MLA’s right to vote in the House as a member, remuneration and other perquisites attaching to their office shall be suspended at the expiry of the one-year period. After considering the Report the Court has directed that ‘in relation to sitting MPs and MLAs who have charges framed against them for the offences which are specified in Section 8(1), 8(2) and 8(3) of the RP Act, the trial shall be concluded as speedily and expeditiously as may be possible and in no case later than one year from the date of the framing of charge(s). In such cases, as far as possible, the trial shall be conducted on a day-to-day basis’.